Dr. Aaron has been a valuable team member of Westheights Chiropractic since 2015. 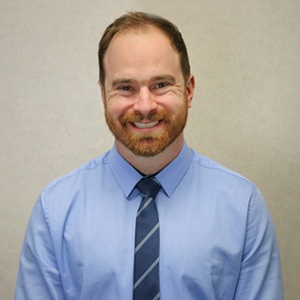 He takes great pride in providing the best in chiropractic care to the Kitchener and Waterloo, Cambridge community and encourages all families to experience the many benefits of chiropractic care. Dr. Aaron began his chiropractic journey as a practice member of Westheights Chiropractic. He had been heavily involved in sports while growing up and found that regular adjustments helped him to recover quickly from injuries sustained during competitive hockey and soccer seasons. He had always had an intense interest in the natural sciences, leading him to receive his Bachelor of Science degree from the University of Waterloo. He expanded his postgraduate education to pursue a Doctor of Chiropractic degree from Canadian Memorial Chiropractic College, achieving Dean’s List status upon his graduation in 2015. It was a natural progression for him to then join the team at Westheights Chiropractic, where he could contribute to the lives of others in a positive, healing environment. Dr. Aaron is a member of the Ontario Chiropractic Association and the Canadian Chiropractic Association. When he is not busy attending to the needs of his practice members, he spends time as a kayaker and backcountry camping enthusiast, and enjoys hockey, soccer and rock climbing. He also loves to paint and play the guitar. We love to take care of families, and in our office, there are four generations of practice members that come to see us regularly. Do you have a problem we can help? Reach out to Westheights Chiropractic for a convenient appointment.